Faulkner got it right. 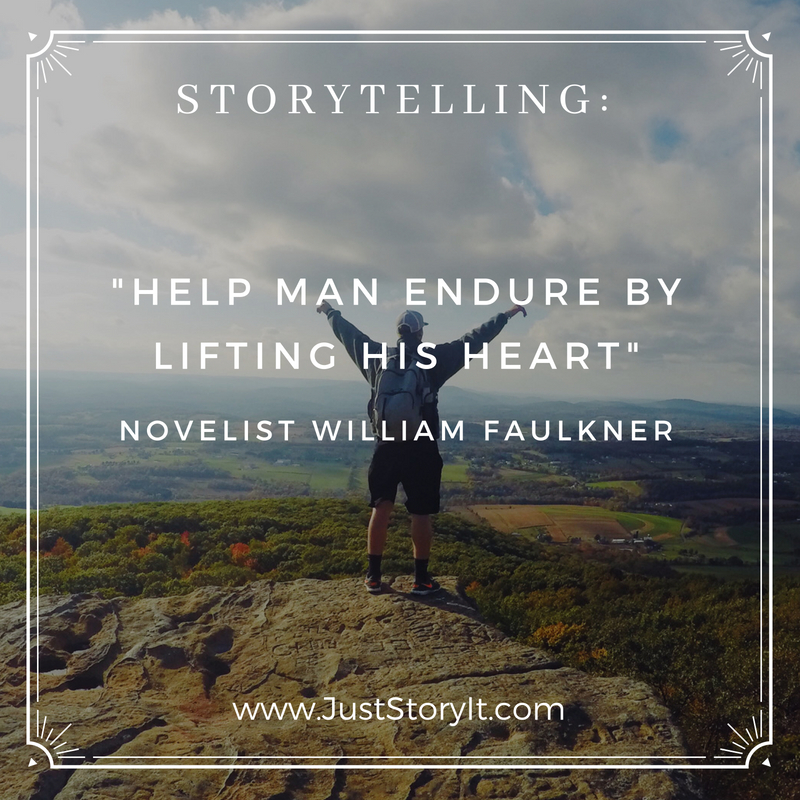 The best use of stories is to provide hope and to offer encouragement to lift others up. Everyone is hungry for deep meaningful stories that help us navigate through life, that enliven us and inspire us to be better human beings. Each person has stories like these and wisdom to share. Another way to think of this is that building your storytelling skills is the power of finding your voice, where you and others become a better version of themselves. ‘Gotta love that! Which is why I love my storytelling work. It’s an honor and a privilege and immensely rewarding. You too have this opportunity. Grab it.